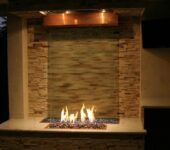 Our fire and water features can be made as free standing units or built in, like the unit seen here. 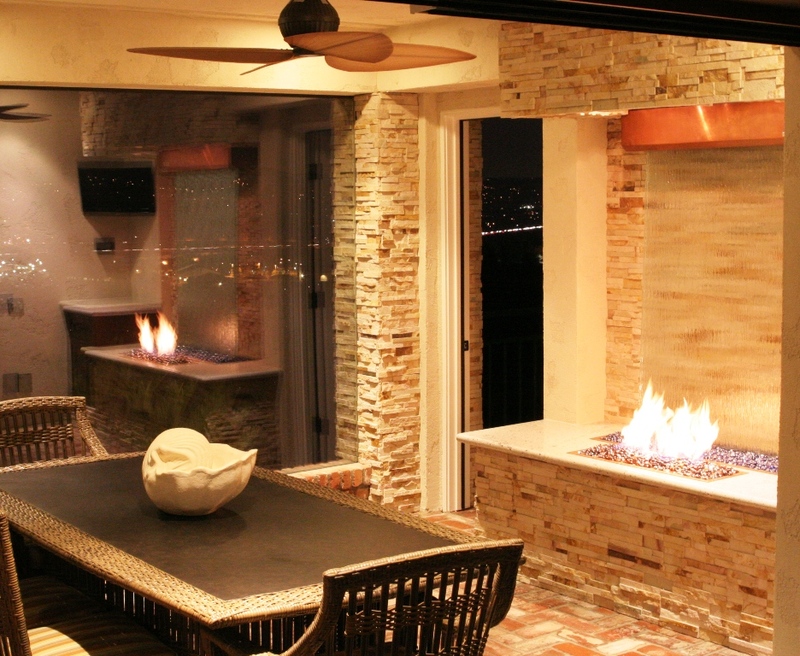 Fire and Water is the epitome of Luxury patio décor. 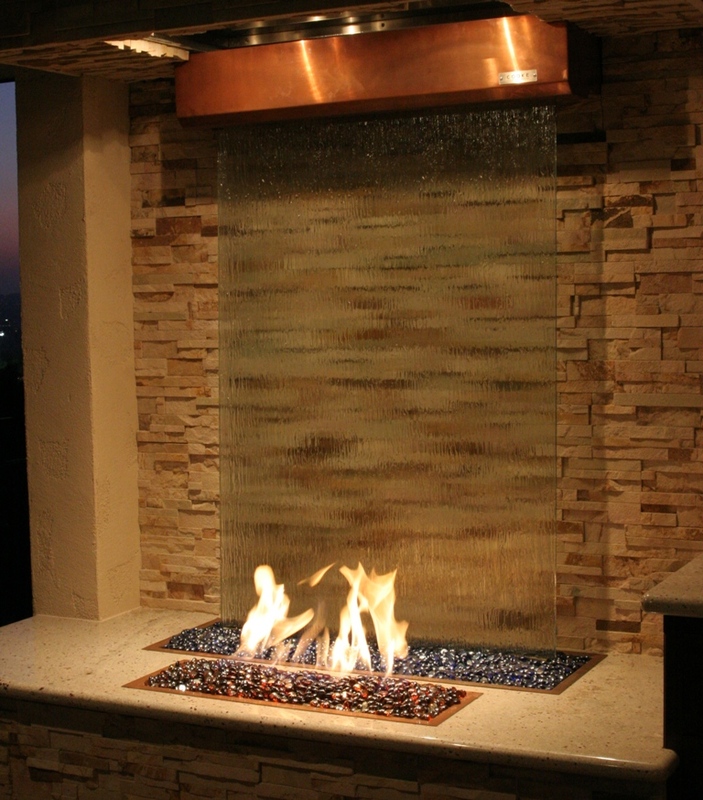 This stunning waterfall wall combined with a fire feature offers the perfect multi element design for your outdoor living space. Built as a freestanding structure or built in to your patio, the Fire and Water feature will complete your design and create the ideal atmosphere for your space. This fully custom piece is built to fit flawlessly into your patio and designed to set the mood and create the perfect ambiance you desire. It is available in high quality stainless steel, granite or stone of your choice. The stainless steel is finished in your choice of copper plate, brushed steel, electro polished or powder coated in any color to match your setting. 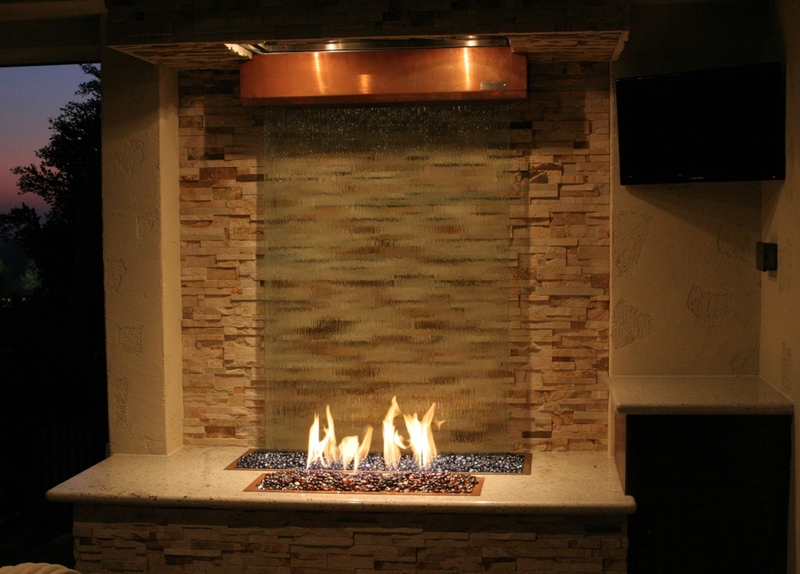 The surface of the waterfall is typically glass but can be altered using stone or metal to enhance your design. The sound of the waterfall is adjustable from a trickle to a loud rain to create the background and atmosphere you desire. 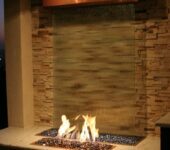 The fire portion reflects off of the beautiful waterfall and enhances the beauty of the feature. 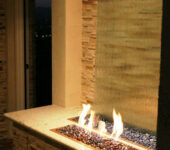 The fire feature is available in natural gas, propane or the fuel of your choice. Full automatic ignition is available and can interface with a variety of control systems. 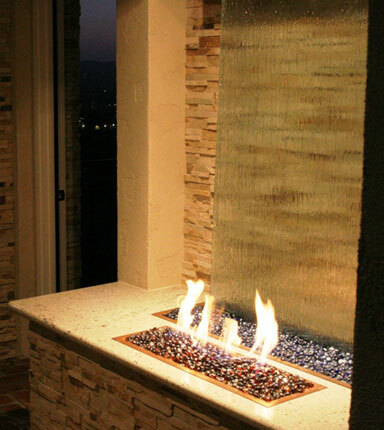 This unique fire and water feature is made in the USA in Southern California and is the ideal luxury addition to any patio space.